Here you go ... Bass Pro Shops purchased Cabelas (click here). One of the biggest frustrations of my career has been the lack of understanding of the profit and loss statement by all but a handful of employees. You will have pundits tell you that you must "engage" your customers and "be relevant" or your brand will "die". These folks, clearly, do not know how to calculate profit. After a recent bout of frustration, I decided to create an equation. 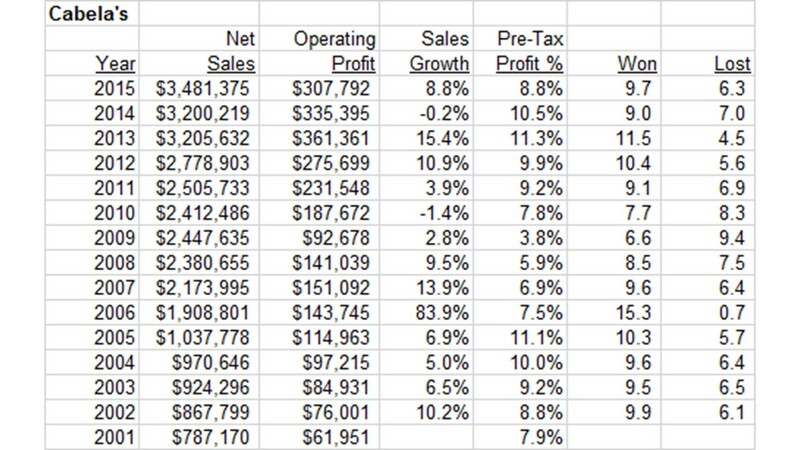 I translated sales growth and pre-tax profit percentage into a Won/Lost record, and then explain the trajectory of a business based on the Won/Lost record. I decided to use NFL Won/Lost records, since an awful lot of people seem to be able to understand that the Arizona Cardinals are in trouble with a 1-3 record. The Won/Lost record is easily understood. Profit and Loss? Not so much. 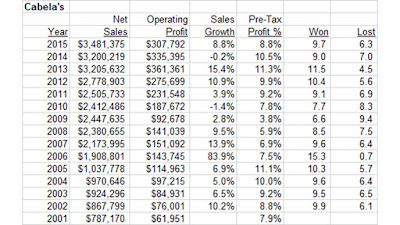 Each year's Net Sales Growth Rate and Pre-Tax Profit level is translated into a Won/Lost record ... a 3-13 year or a 6-10 year gets the CEO fired (I'll share Lands' End data at some point and you'll see what I mean) ... several years of 7-9 or 8-8 or 9-7 cause changes to happen ... a bunch of 15-1 seasons and you are Steve Jobs. Here is the fourteen year trajectory of Cabela's, using my new equation. Now, I just ran a table like this for Chicos - not so good (i.e. three years with performance similar to a 6-10 NFL team). The table for Cabela's is pretty credible, don't you think? Here is the Won/Lost record, depicted graphically. The bars are set at an 8-8 record ... which direction are most of the bars pointed? In most cases, Cabela's posted what my methodology calls a "Winning Record" ... this business has been run like a winning NFL team is run. 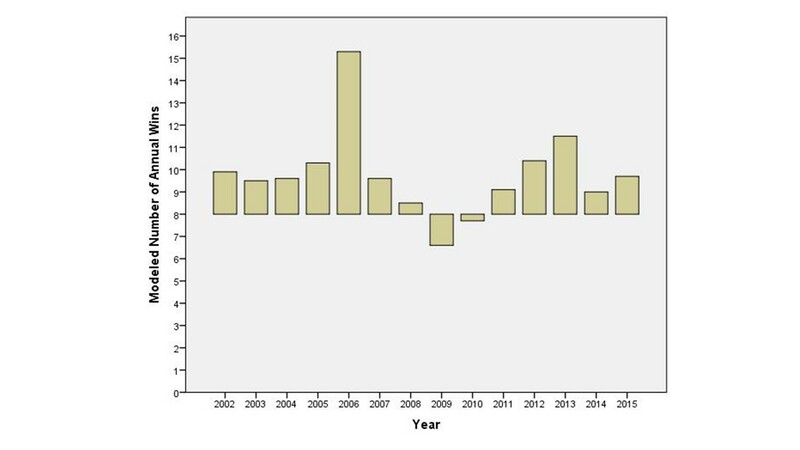 There are only two "losing seasons" in the bunch ... 2009 and 2010 ... coming out of The Great Recession. When the record goes above ten wins, I consider the brand to be a "Playoff Team". In the NFL, you want to be in the playoffs, right? When the record goes above twelve wins, I consider the brand to be a "Championship Caliber Team". In the past fourteen years, what did Cabela's post, using my framework? 12 winning seasons in 14 years. So that's a pretty good run! 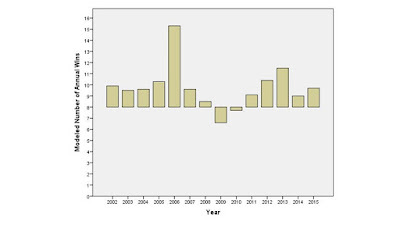 And you can see that there is a bit of a "quadratic" trend happening from 2011 - Current, right? 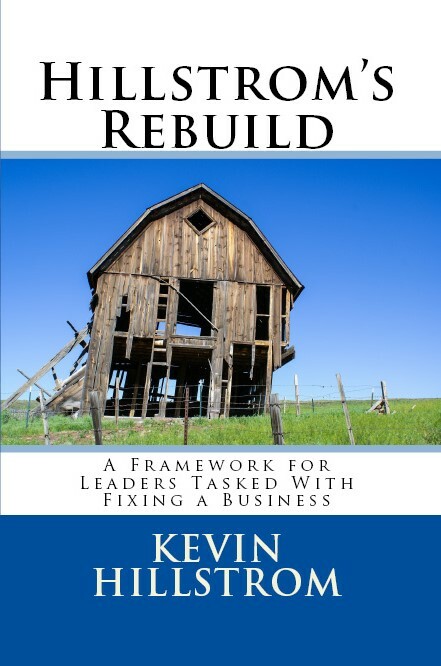 There's risk involved - sales are growing, profit is in decline. Year-to-date, Cabelas posted a sales gain (about 7%) and a modest decline in operating profit percentage ... which will yield another 9-7 season when translating sales/profit trends to NFL won/lost records. Yes, you are going to hear a lot more about this methodology ... give it a few weeks. 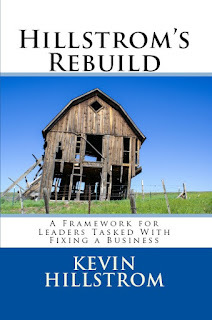 There's even going to be a booklet about the methodology - linking the scoring method to the start of what I call a "rebuilding process" for companies I work with.